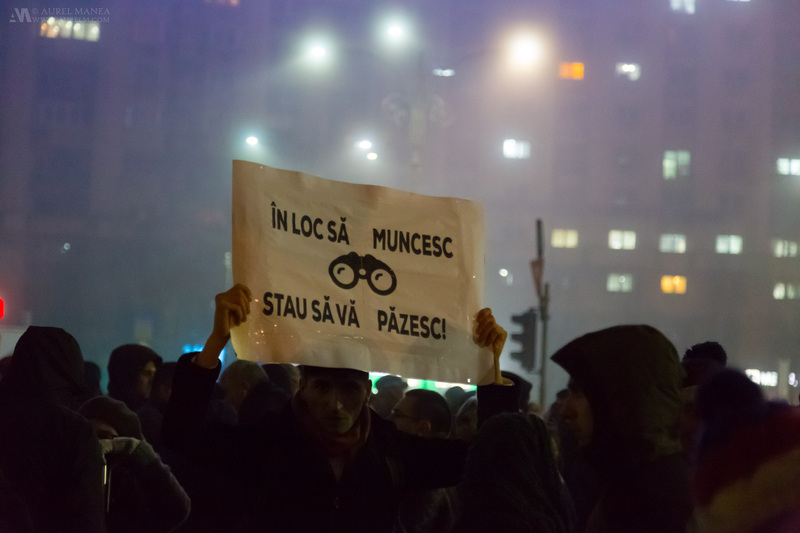 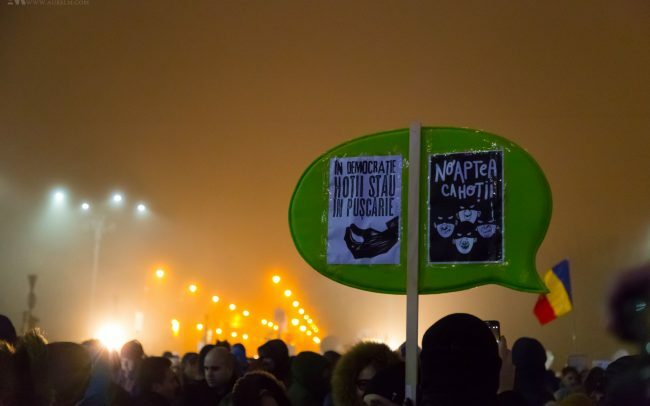 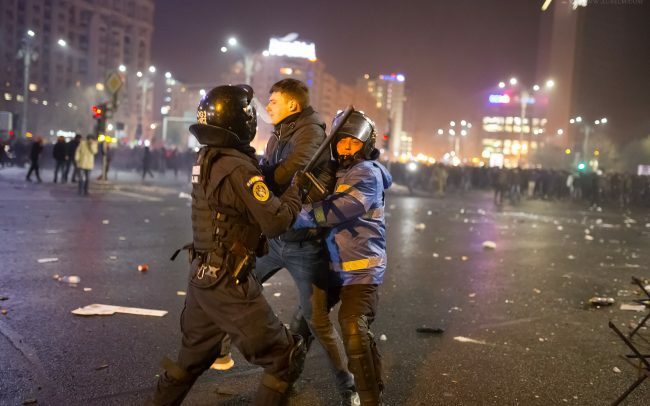 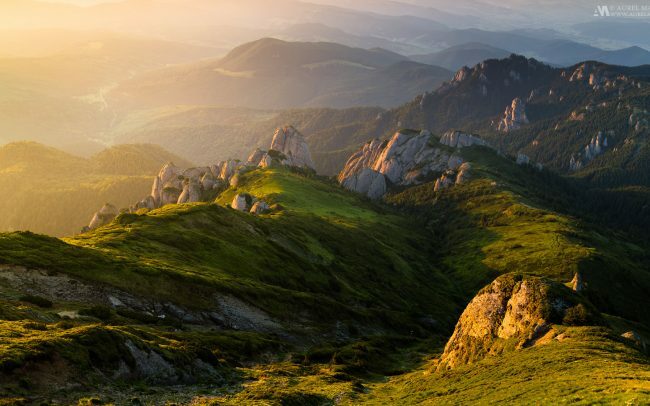 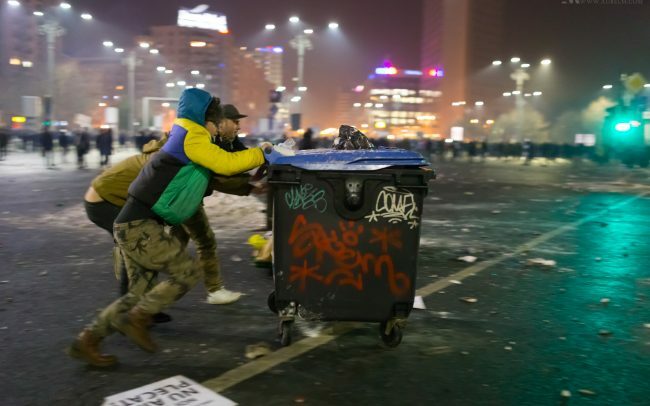 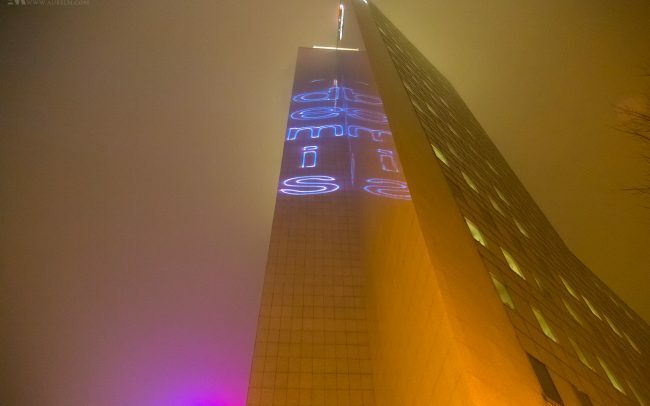 #rezist is the hashtag used by the protests that started in Romania after the government passed a decree that in short decriminalized government level corruption. 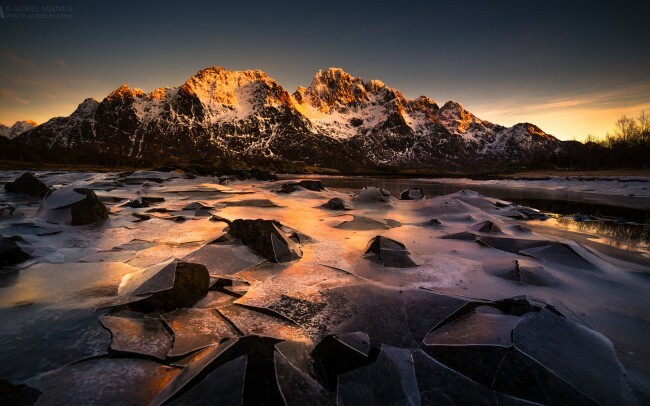 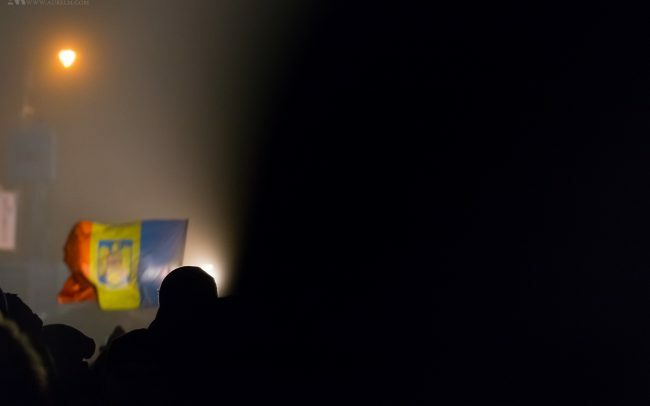 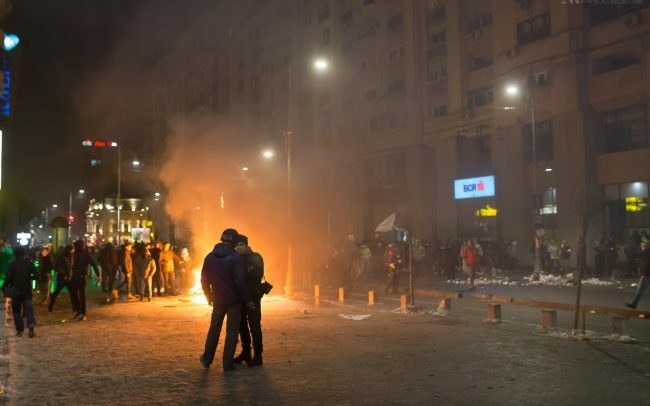 The decree was passed on 31 of January 2017, in a late night government session and after weeks of protests aimed at the possibility of this decree. 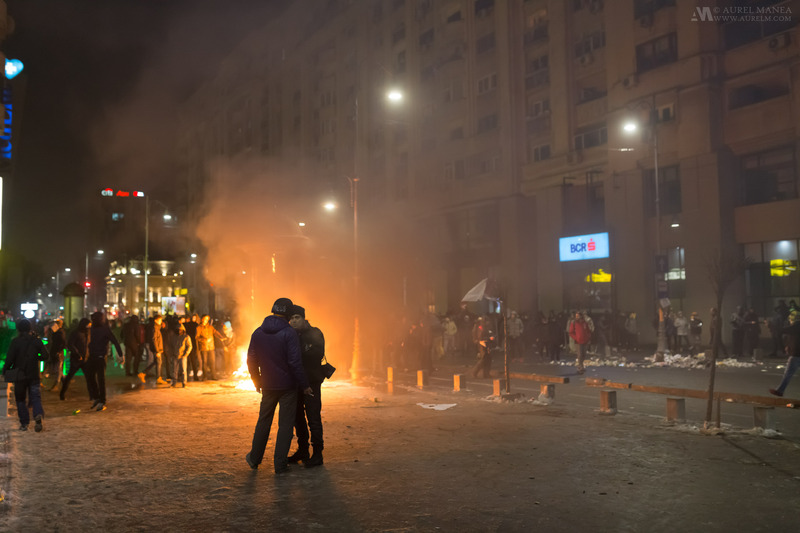 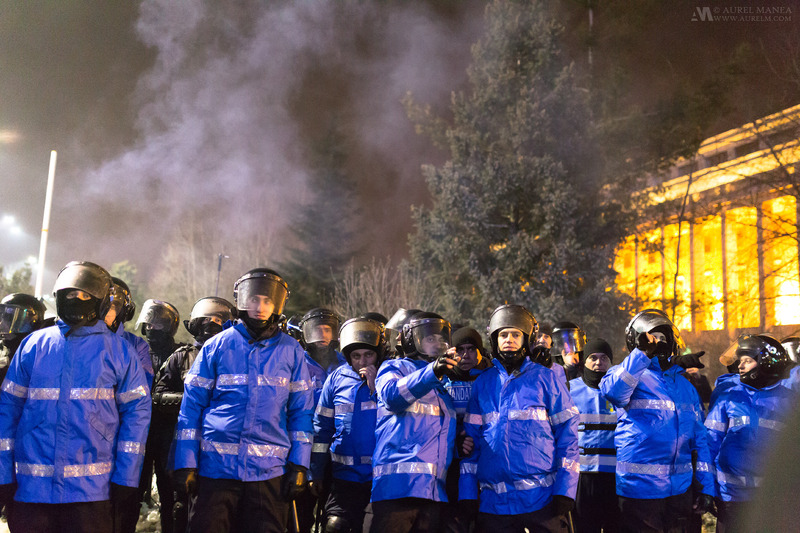 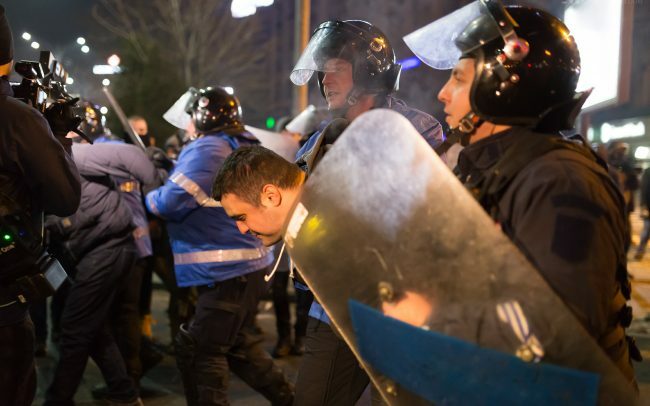 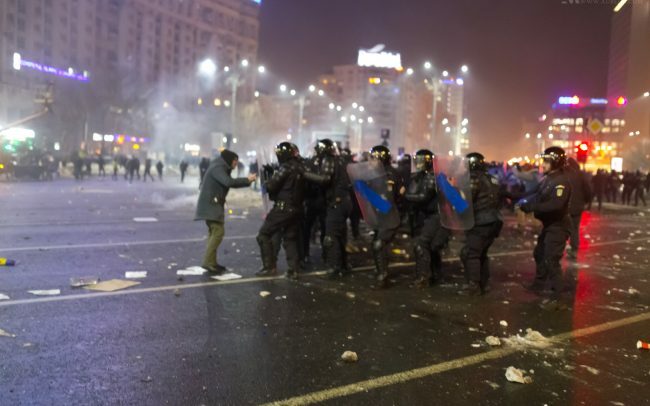 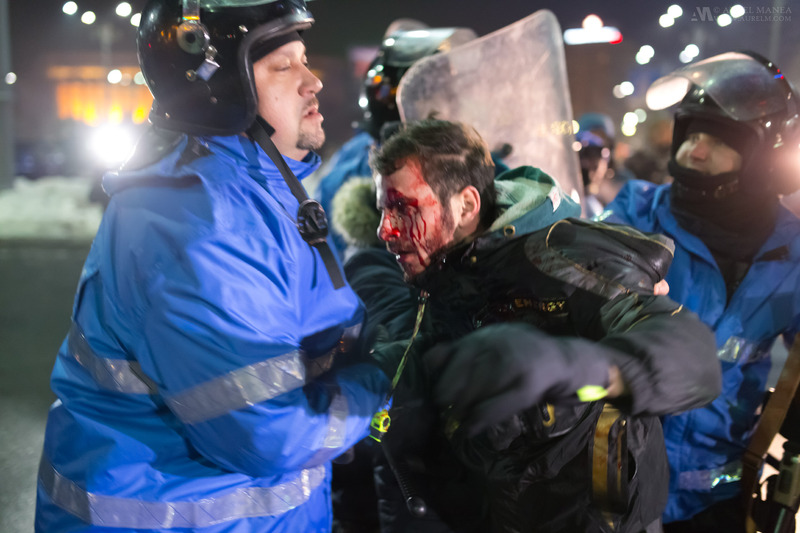 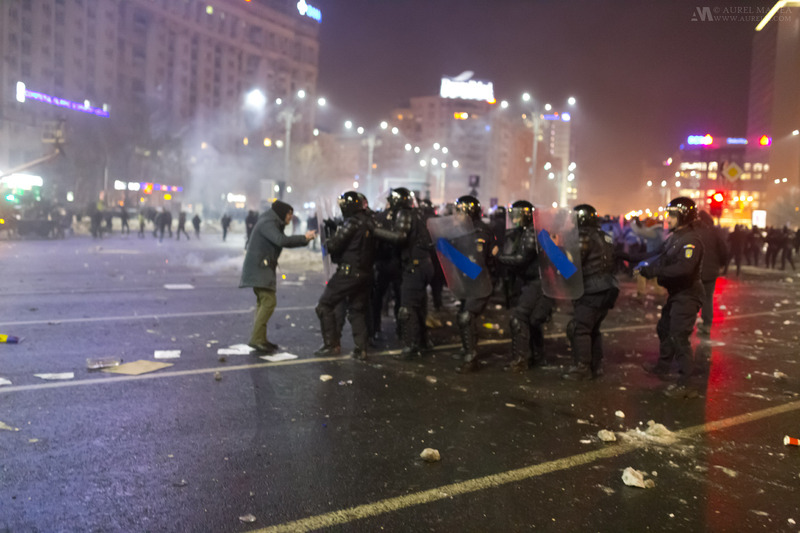 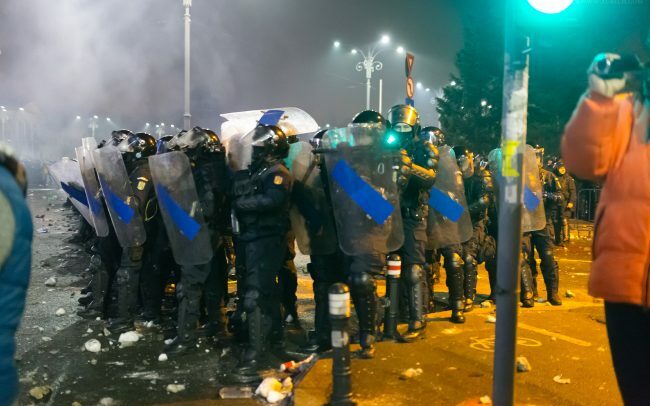 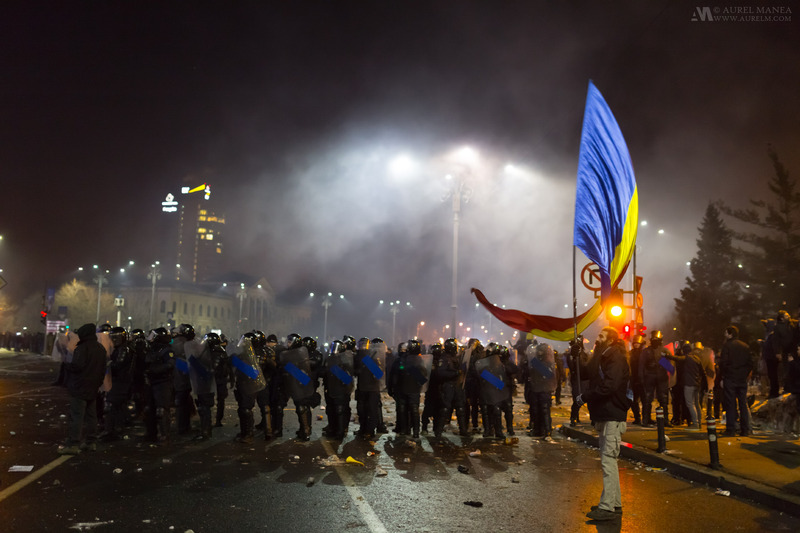 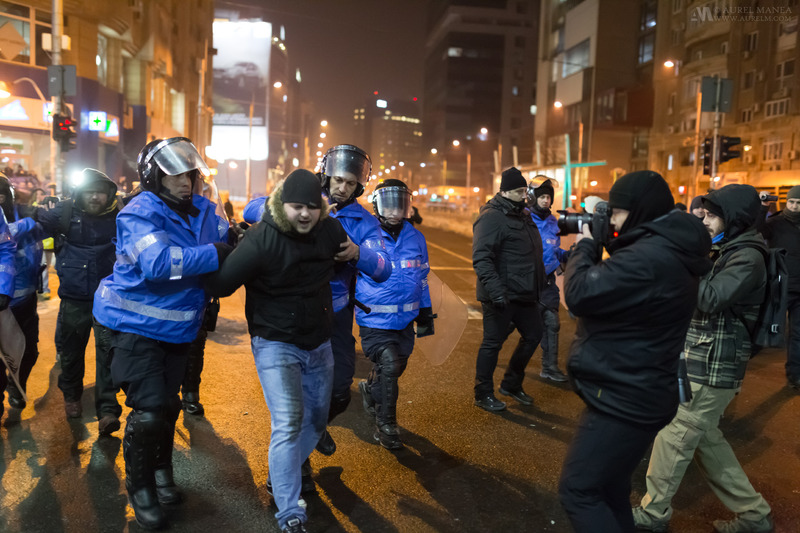 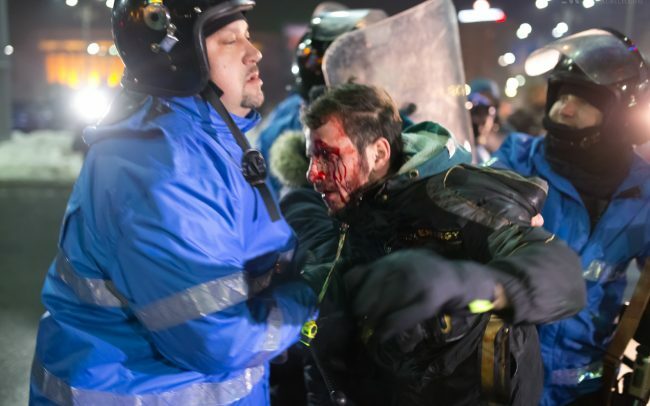 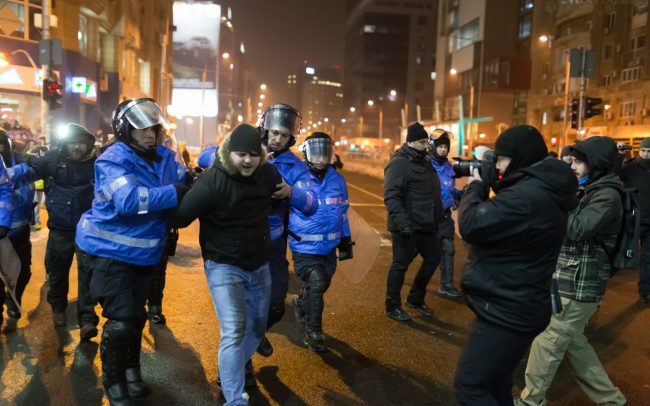 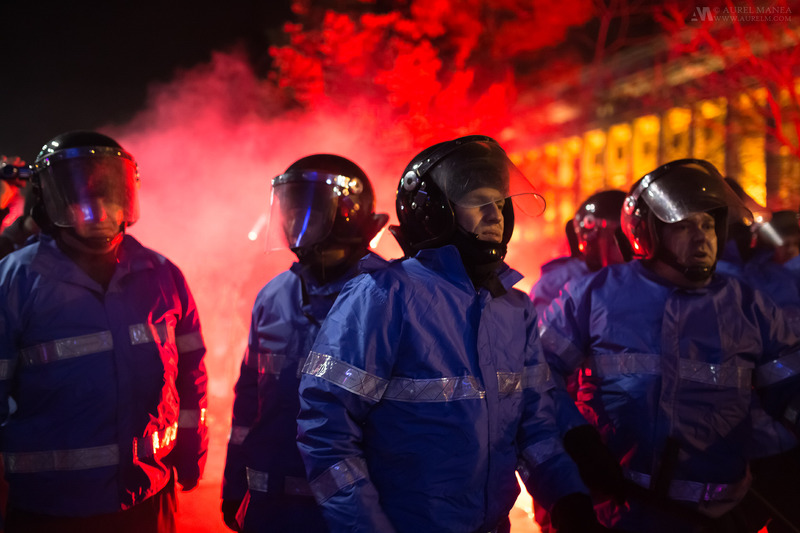 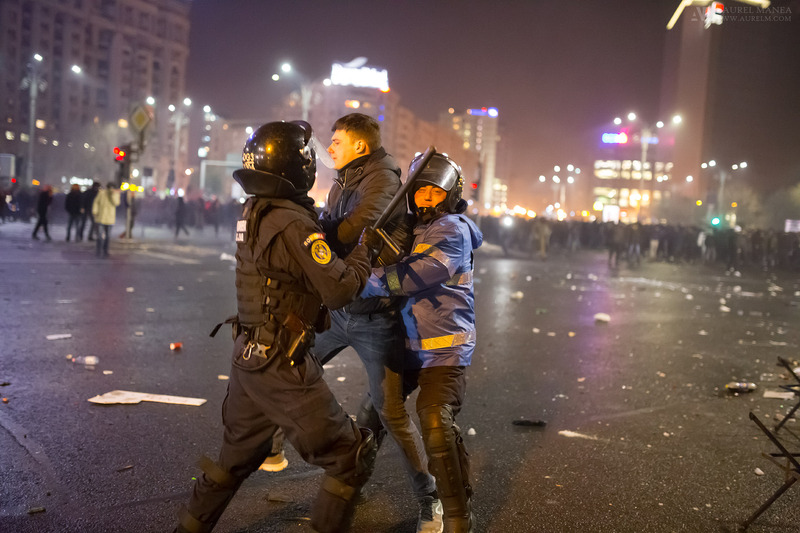 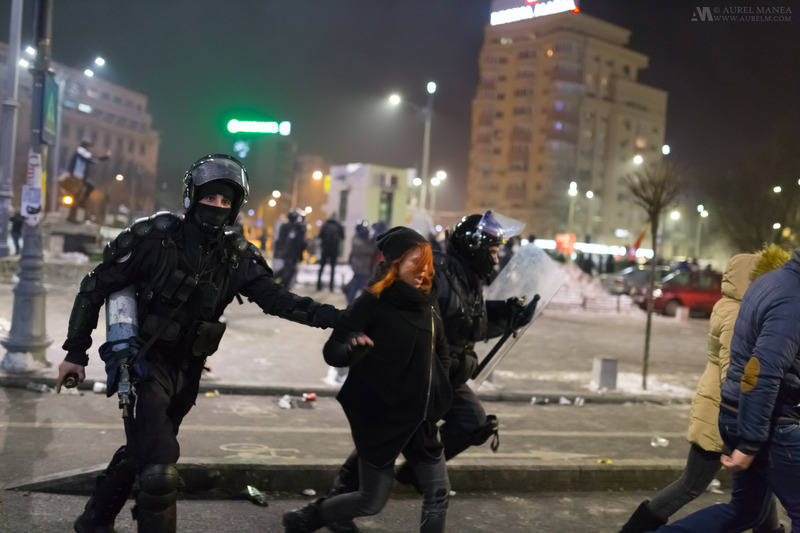 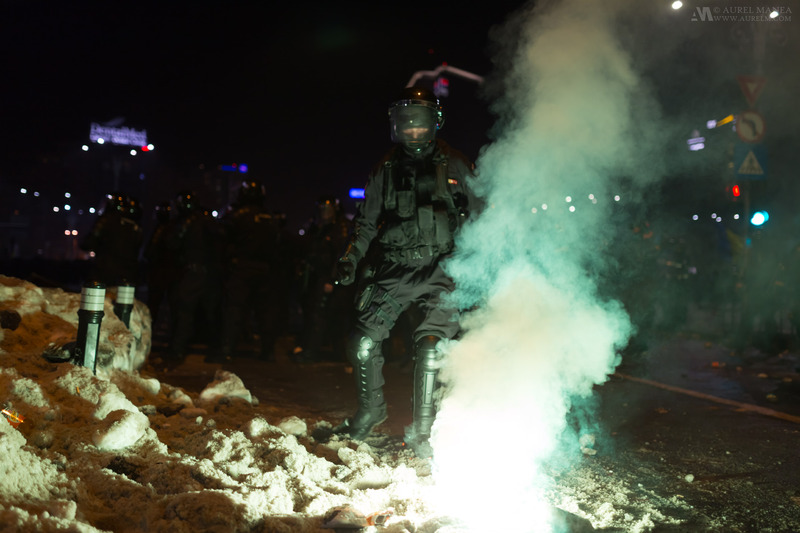 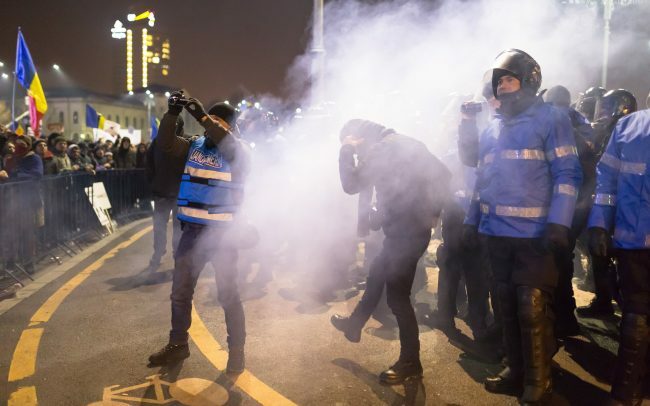 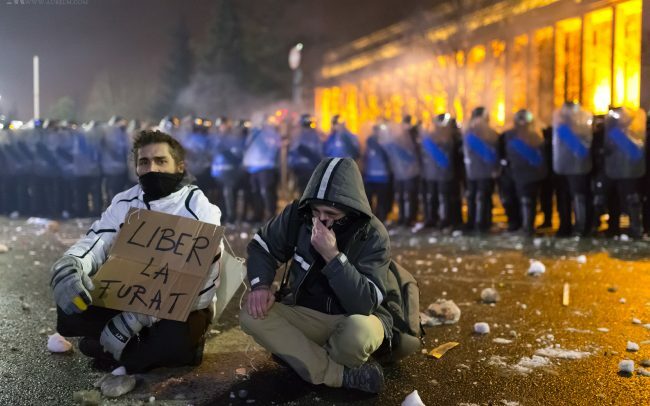 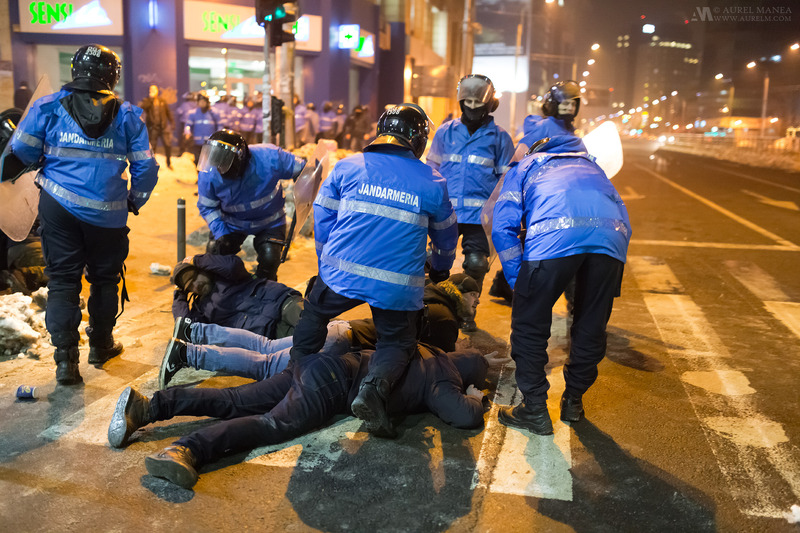 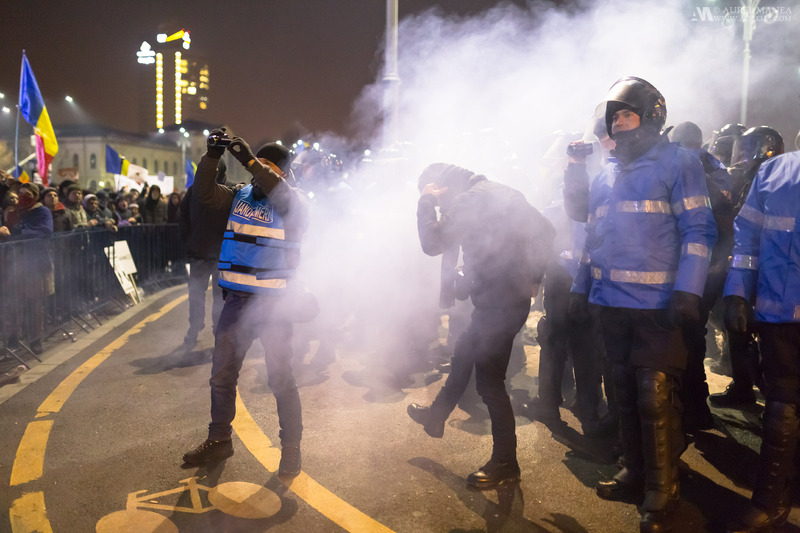 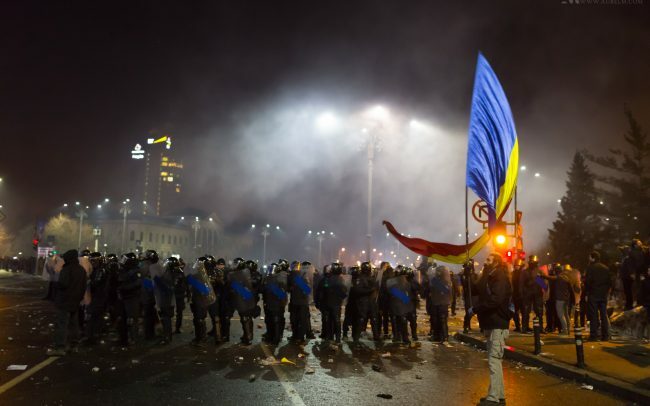 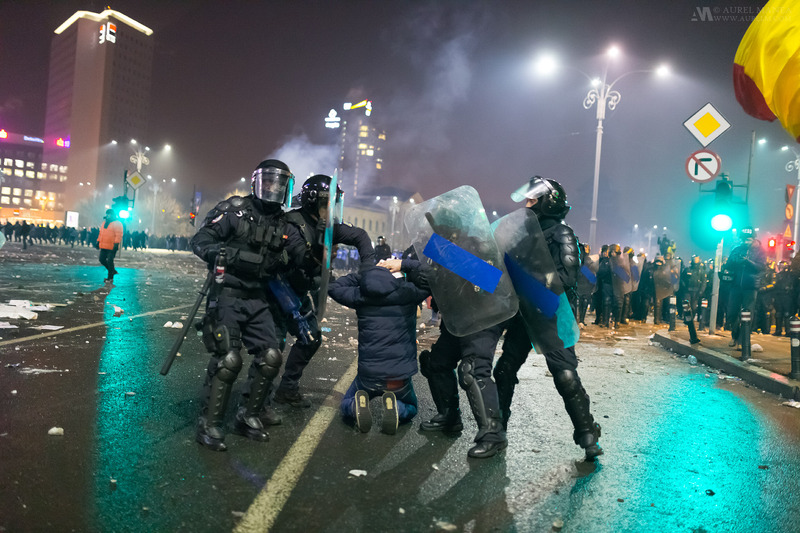 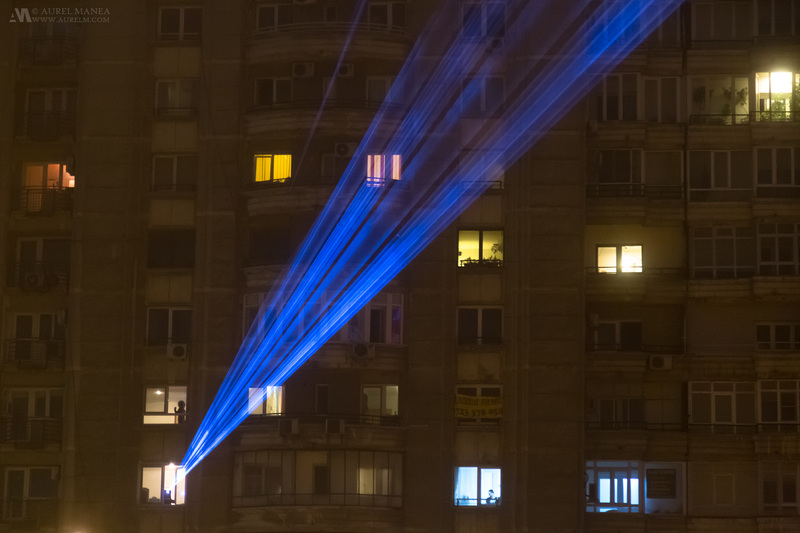 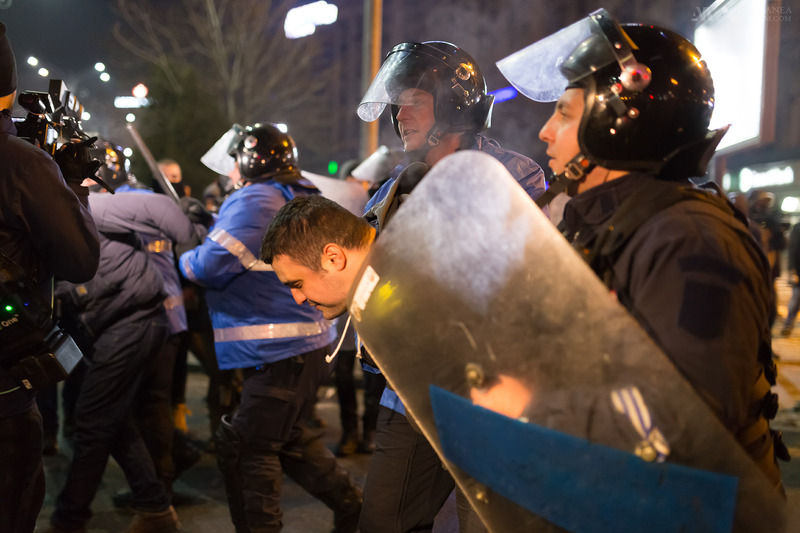 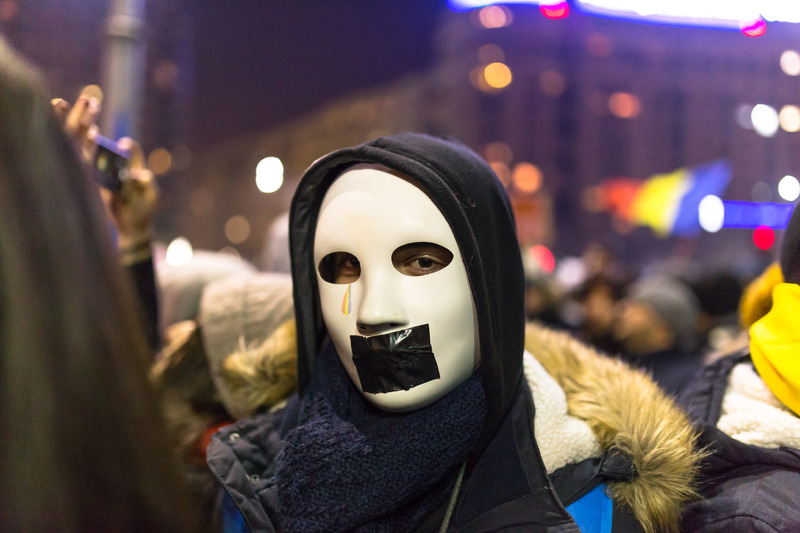 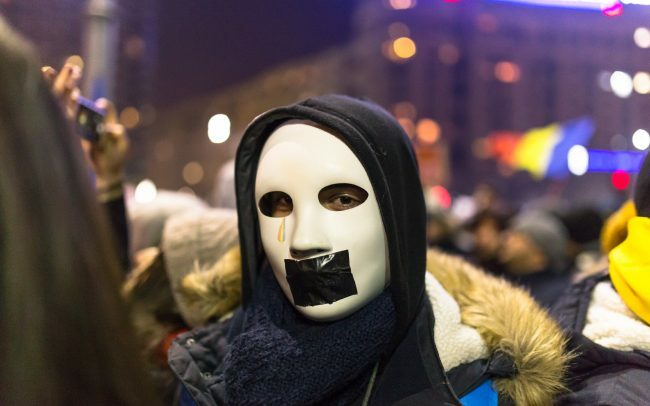 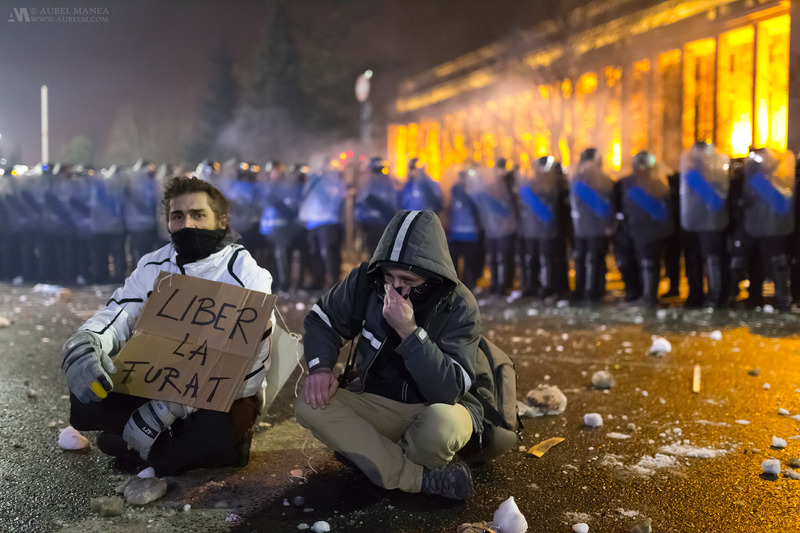 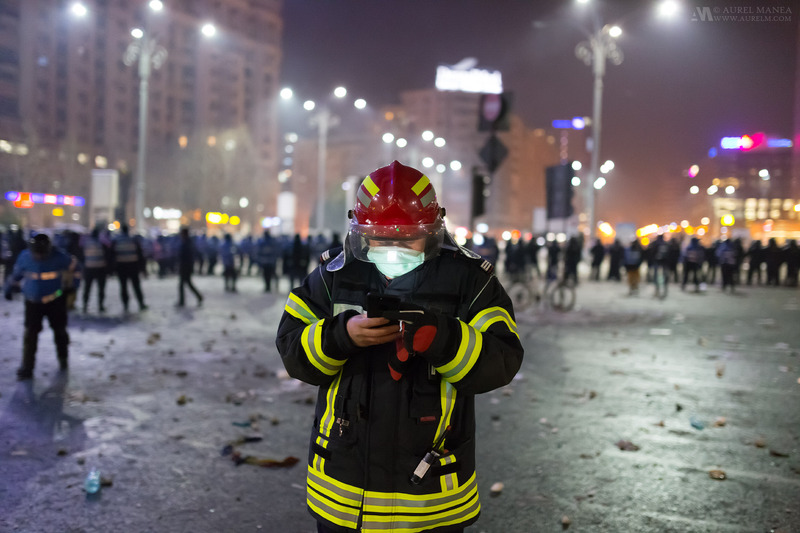 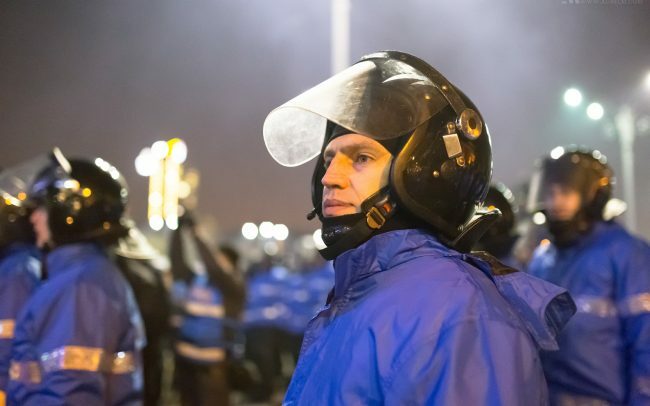 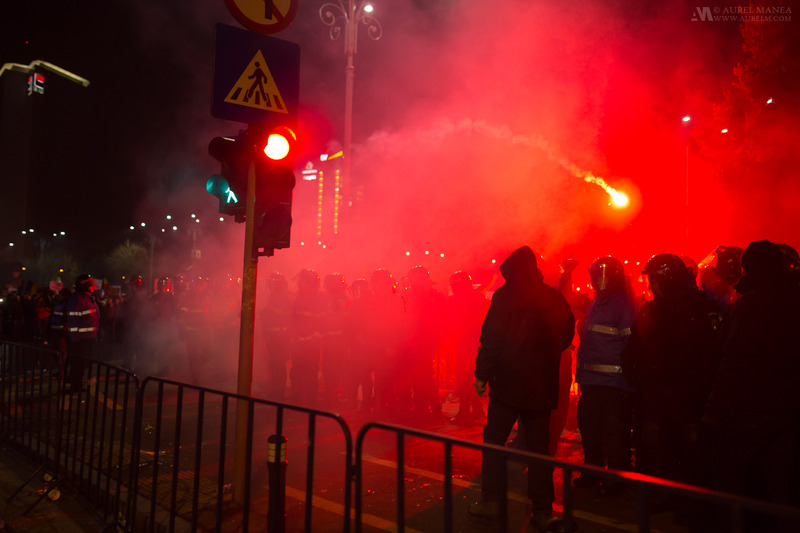 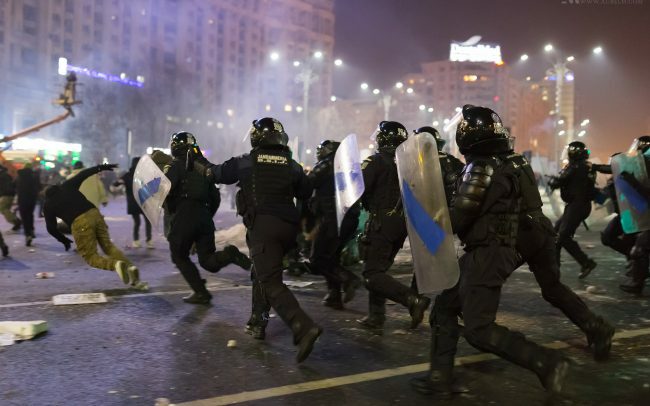 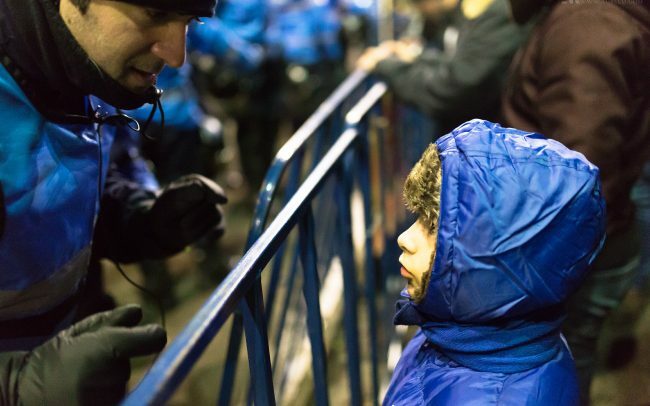 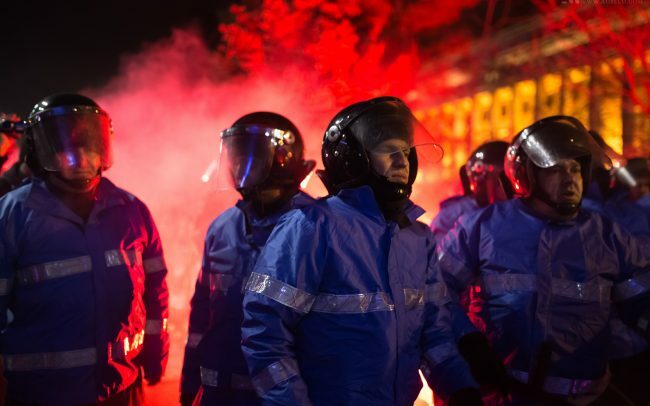 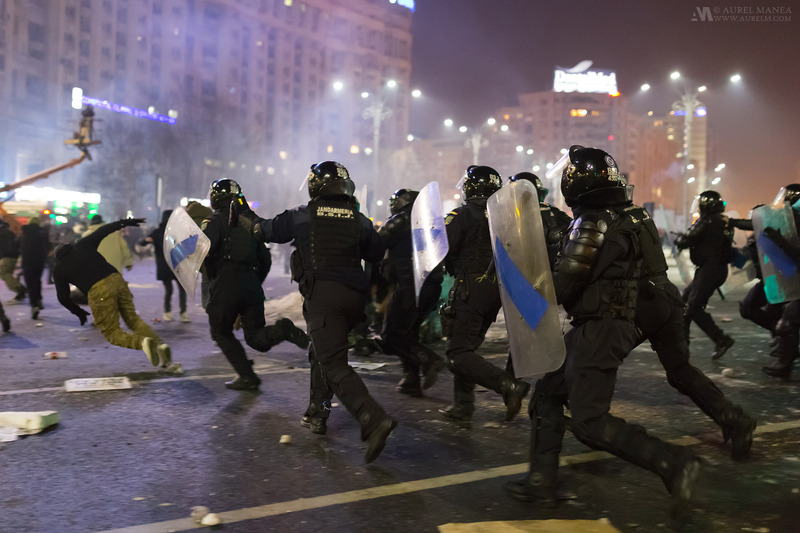 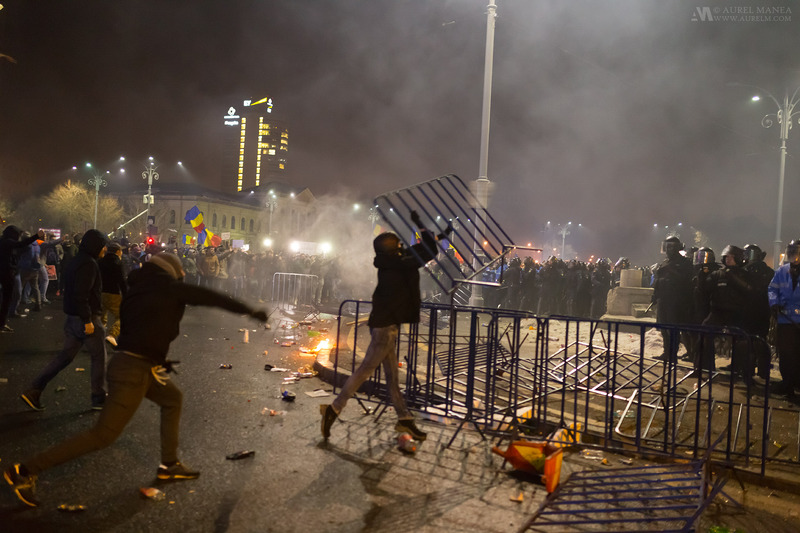 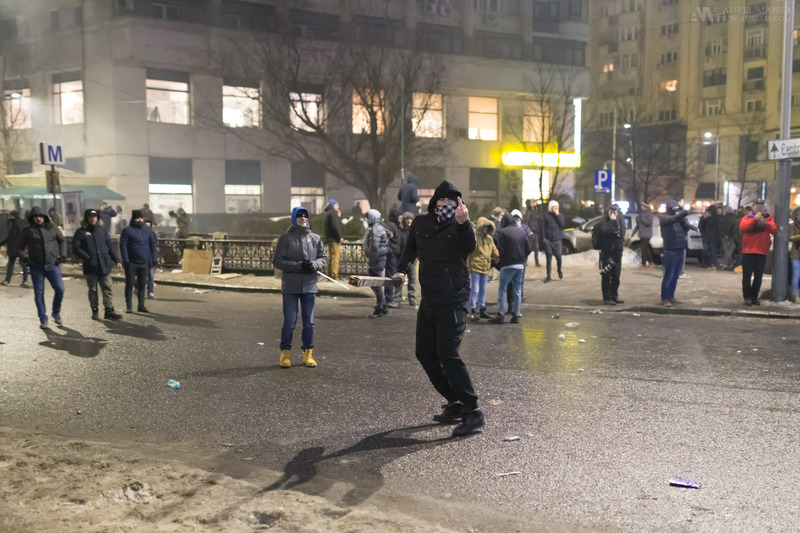 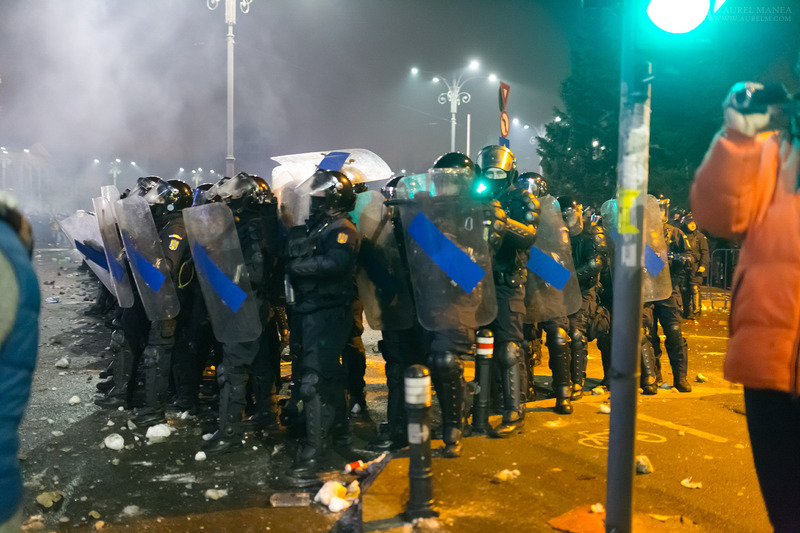 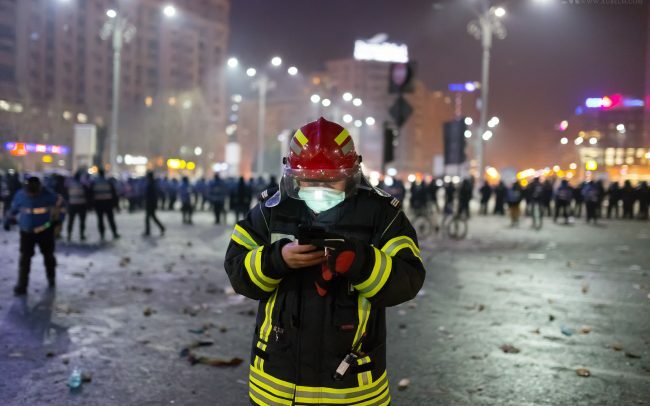 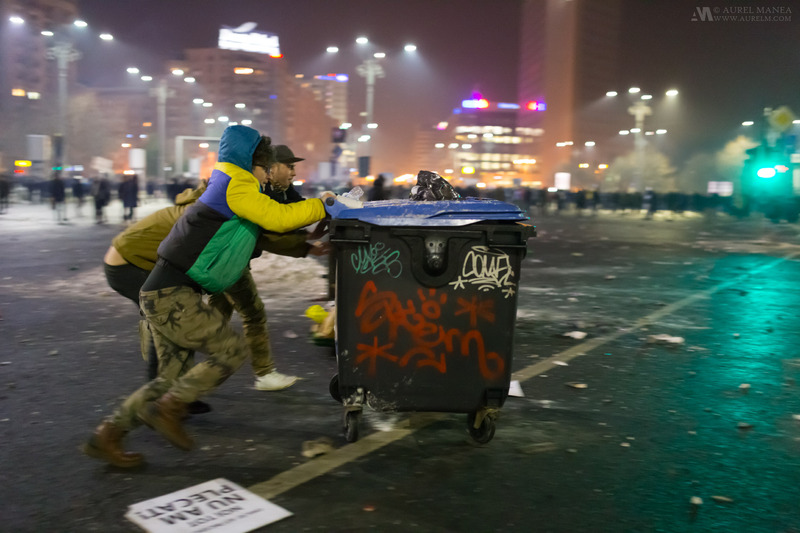 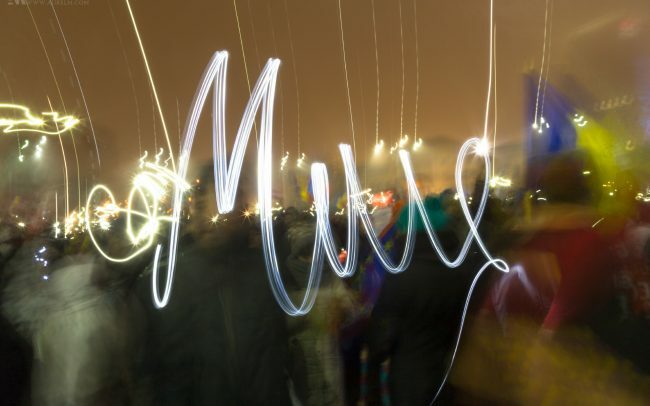 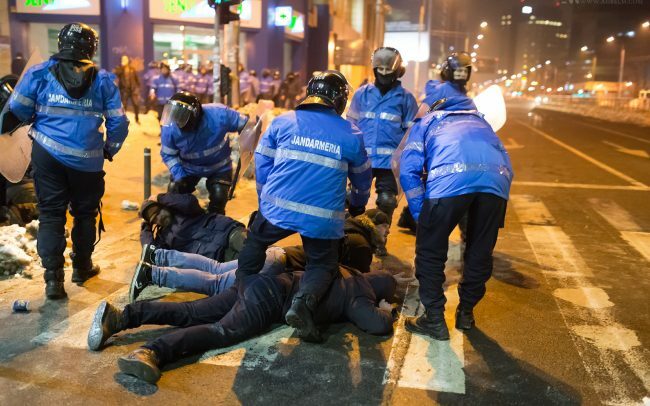 Against the street pressure and the government assurance the decree was passed and sparked instant midnight protests in Bucharest and around the country. 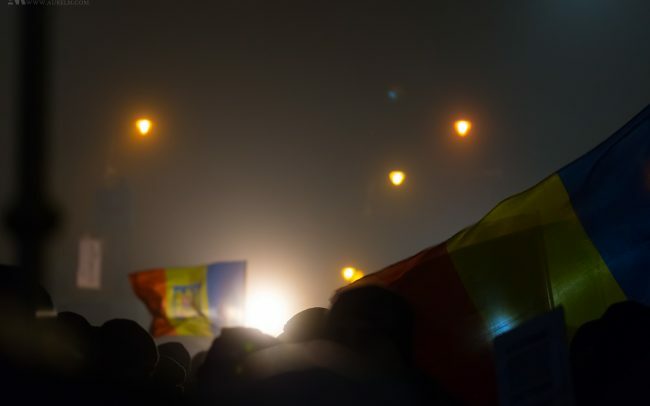 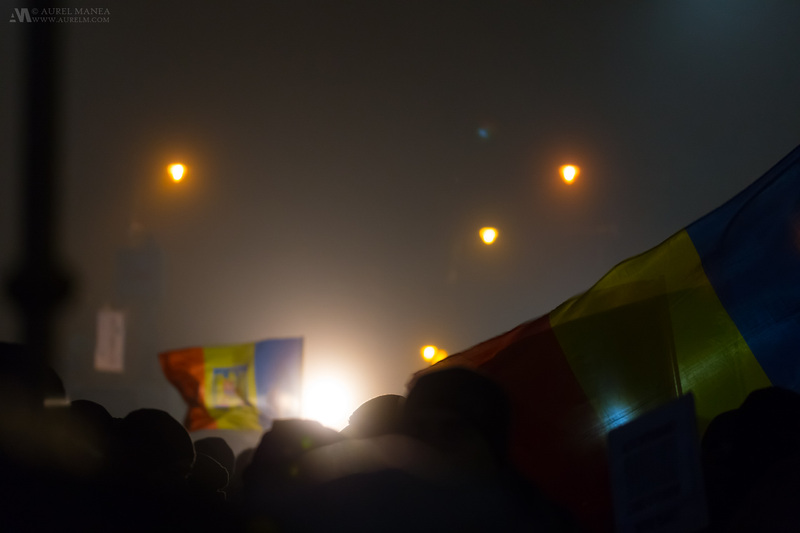 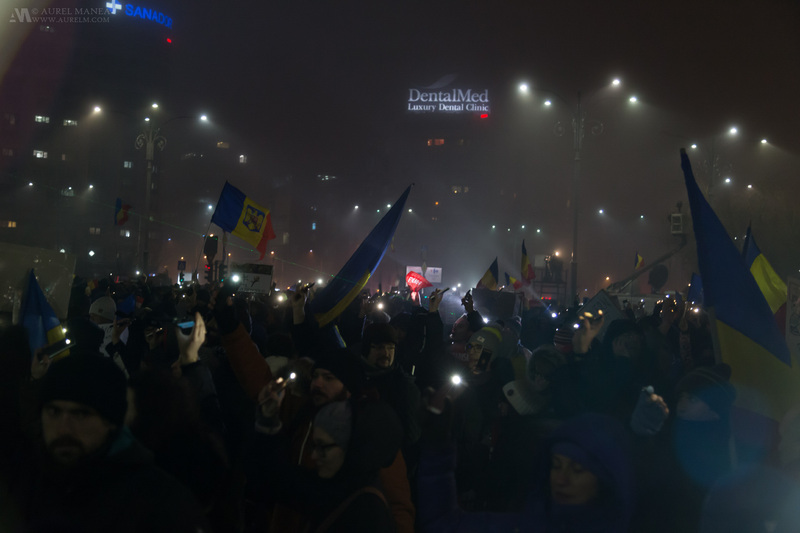 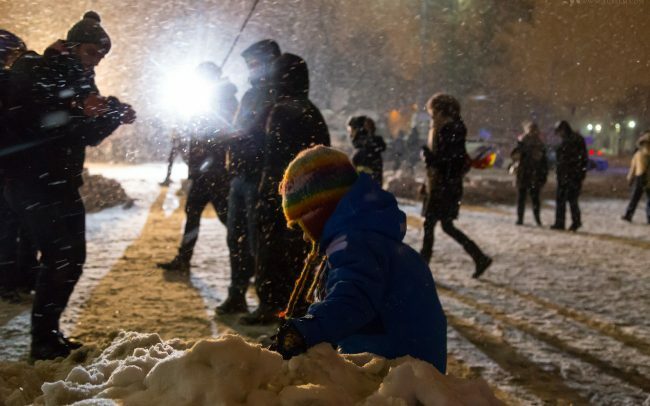 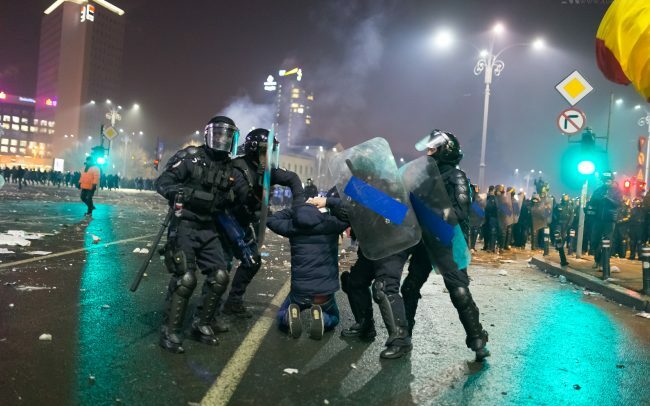 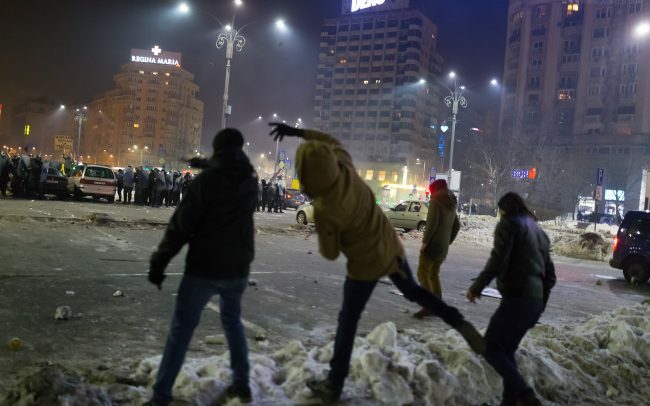 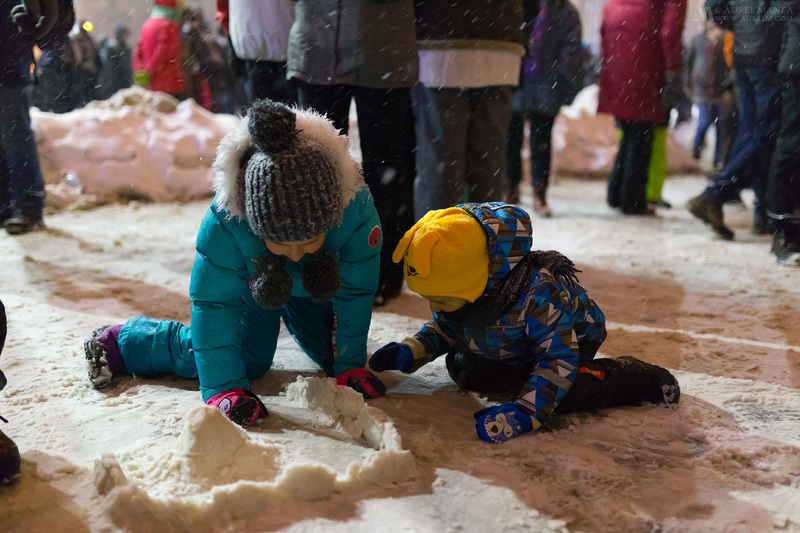 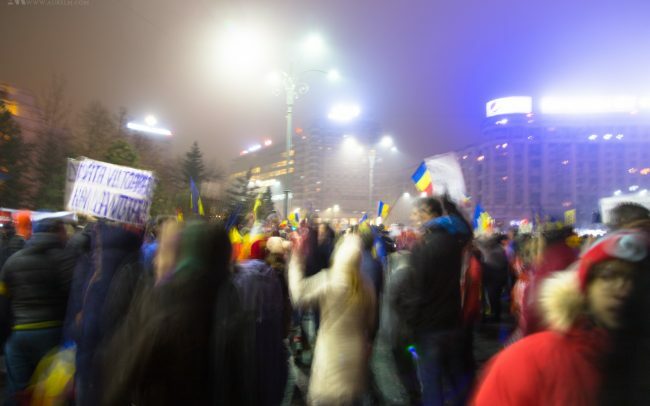 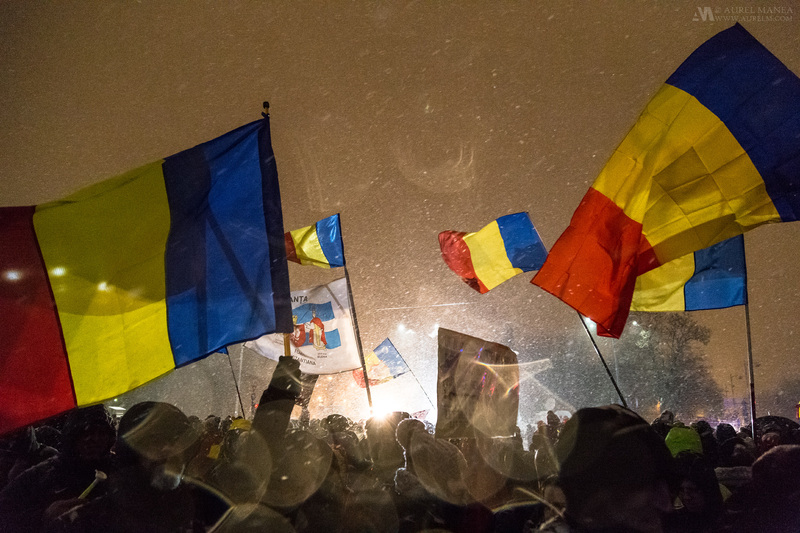 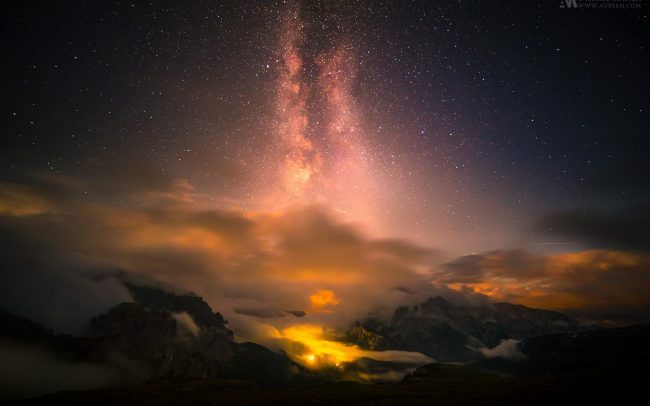 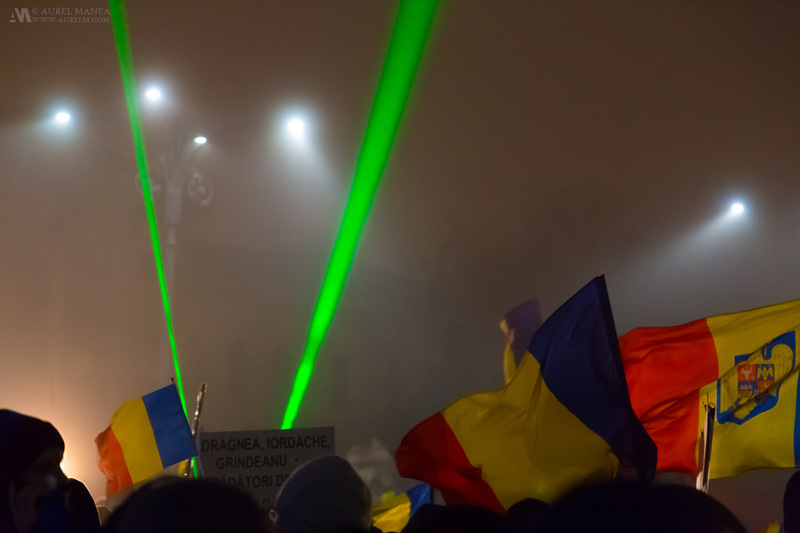 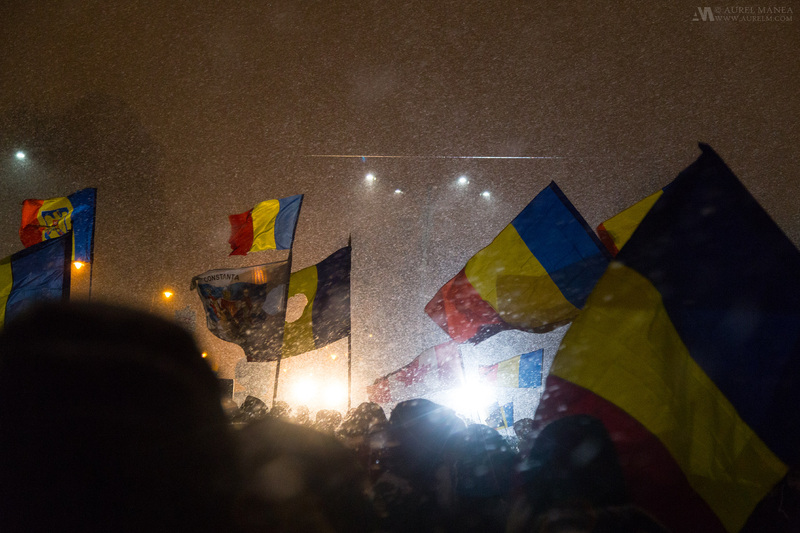 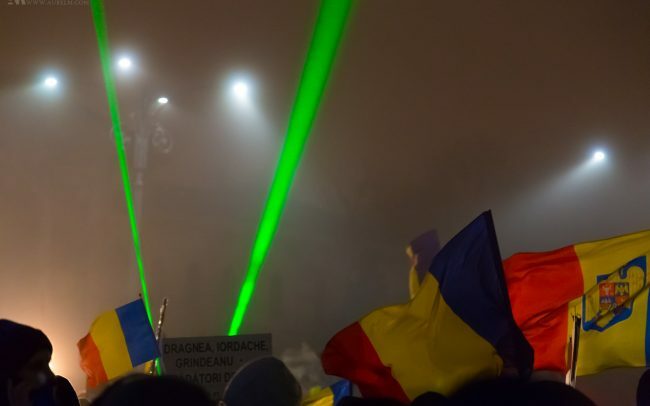 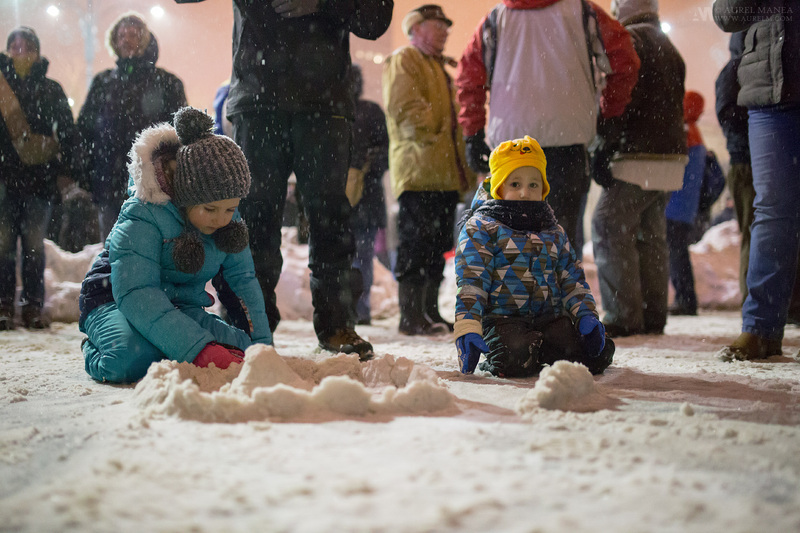 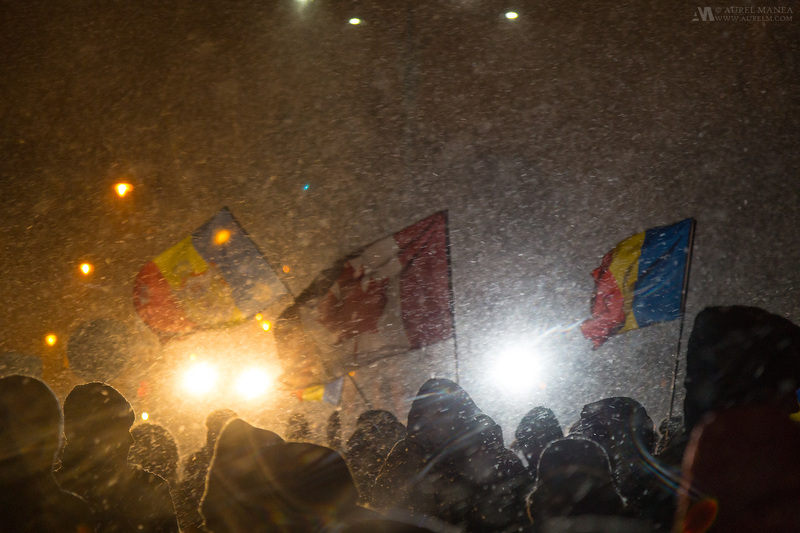 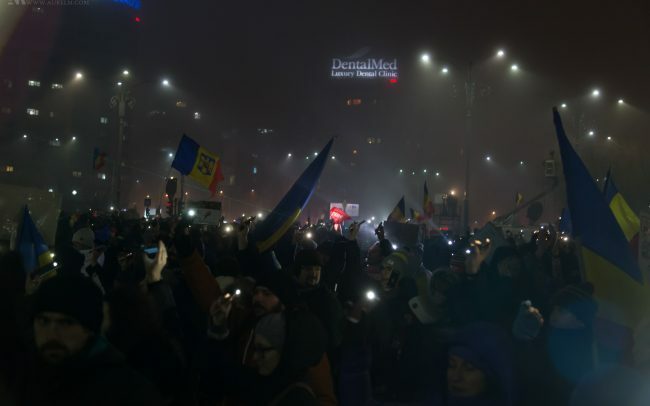 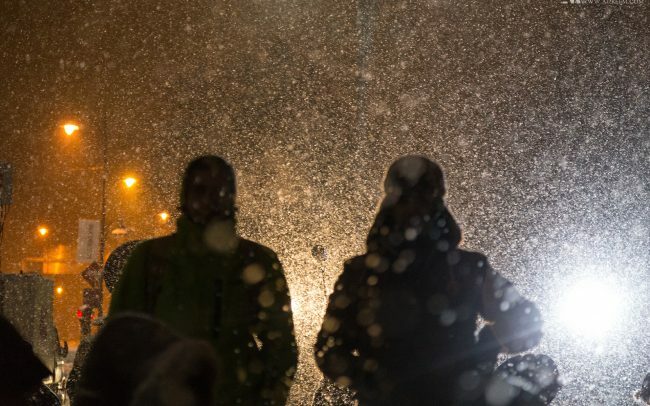 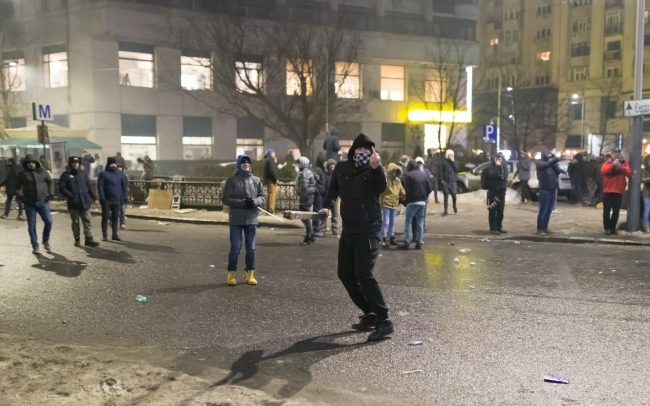 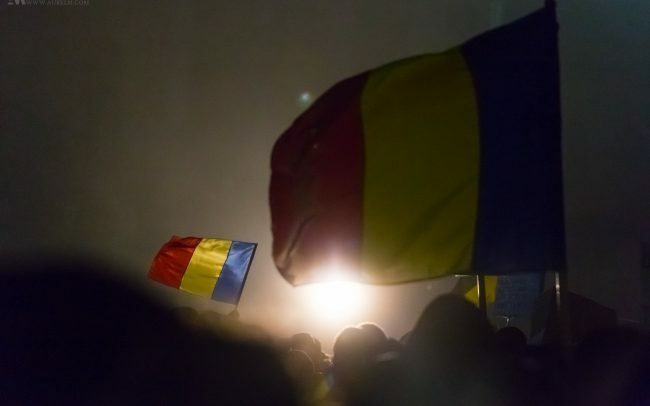 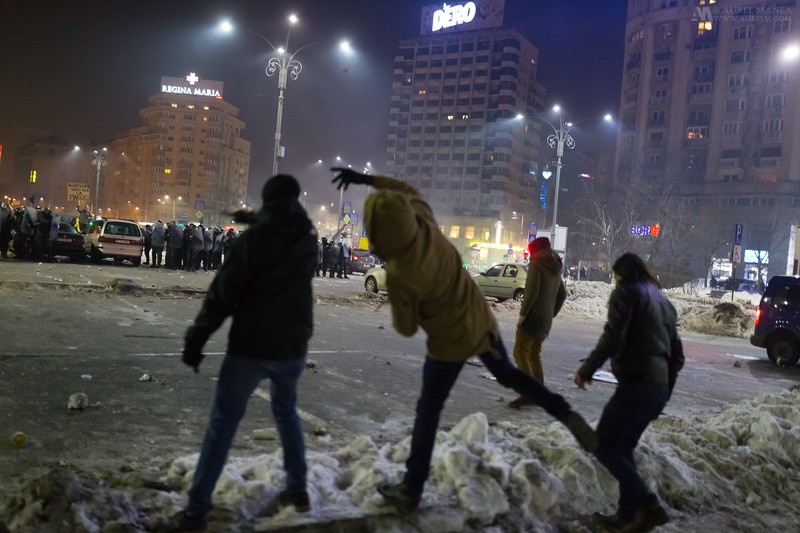 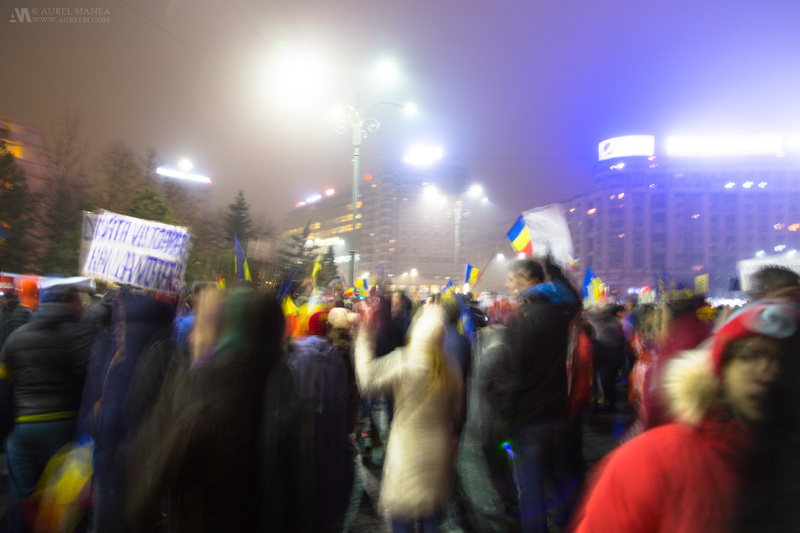 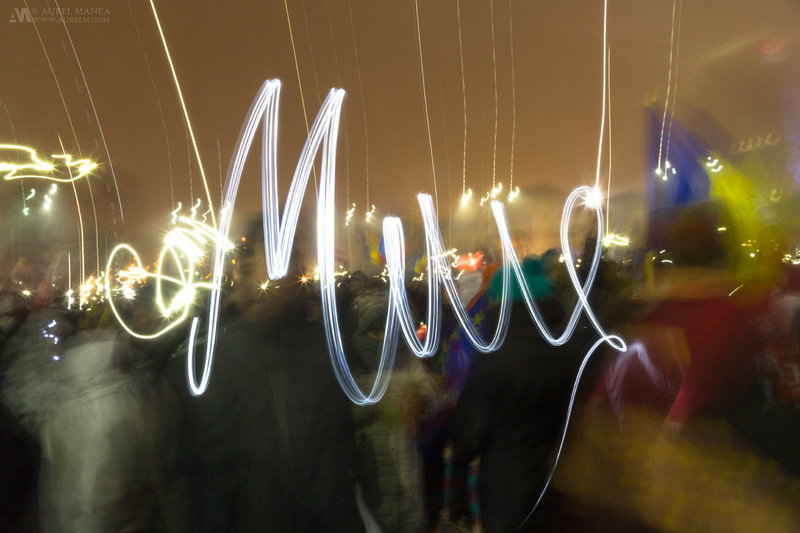 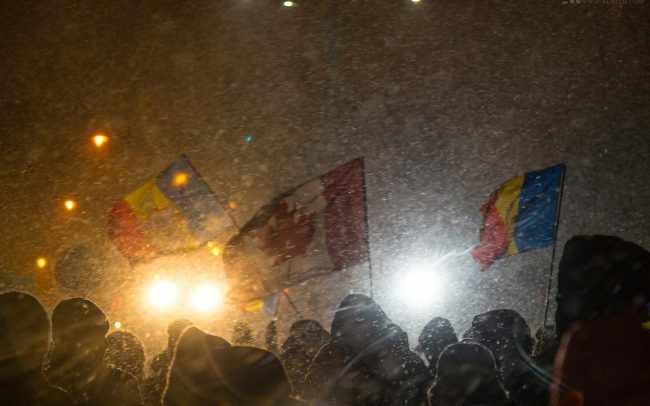 While in the first night there were around 1500 people in Victory Square Romania by Sunday it became the largest protests in 25 years since the communism fell with around 300.000 people in Bucharest and as much around the country with highlights in Cluj & Timisoara. 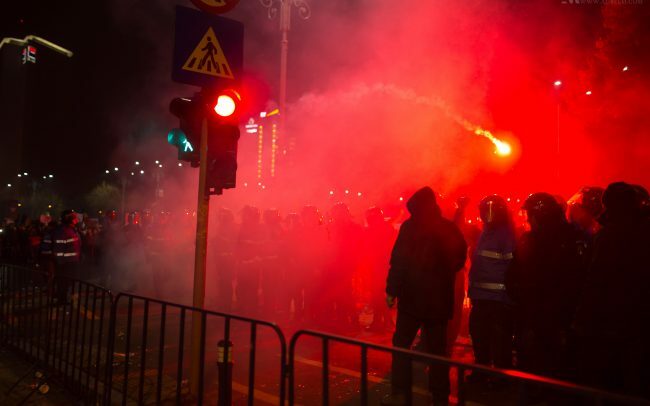 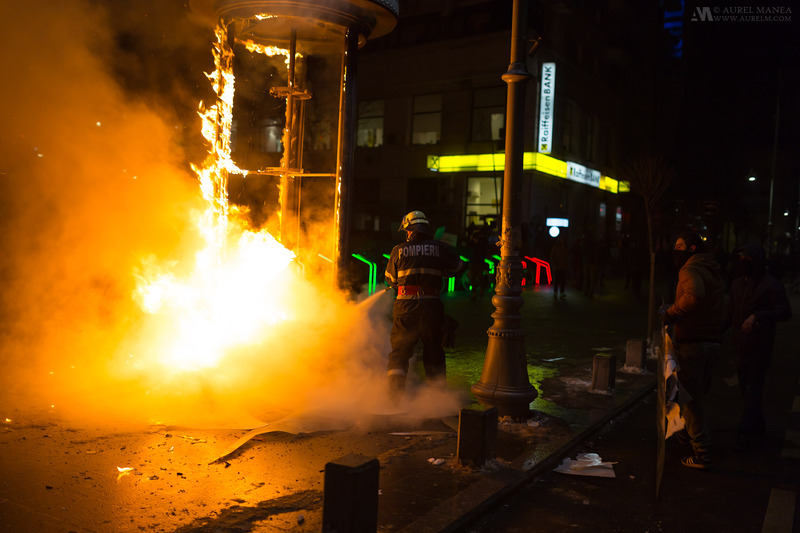 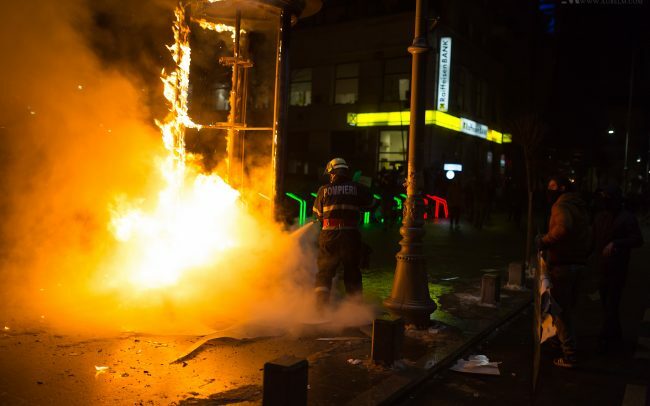 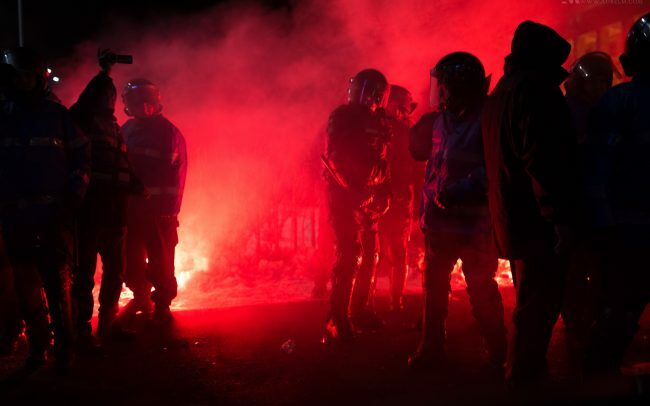 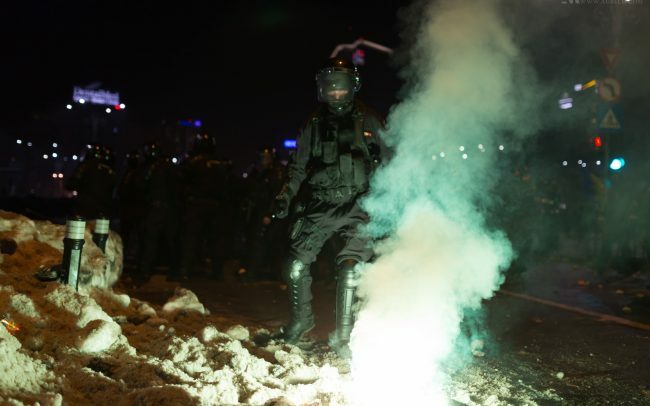 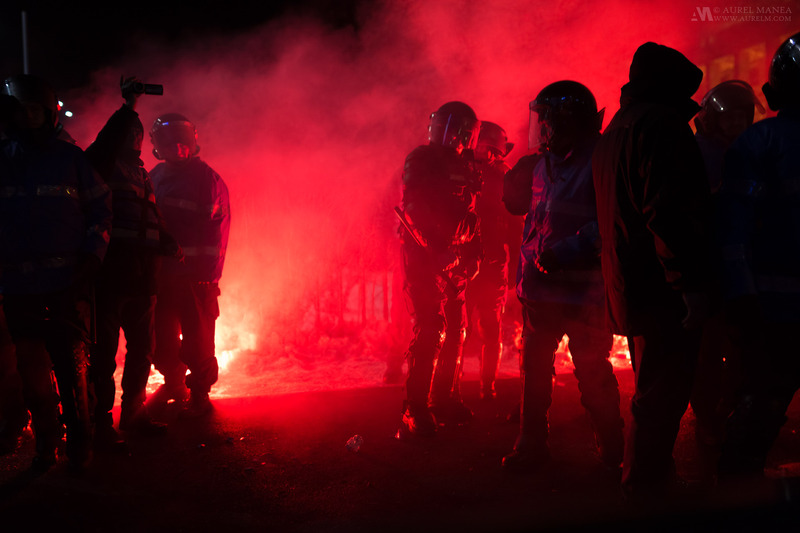 While the protests were mostly peaceful the second day a group of agitators (mostly football supporters) infiltrated the crowds and sparked some of the biggest street violence in recent history. 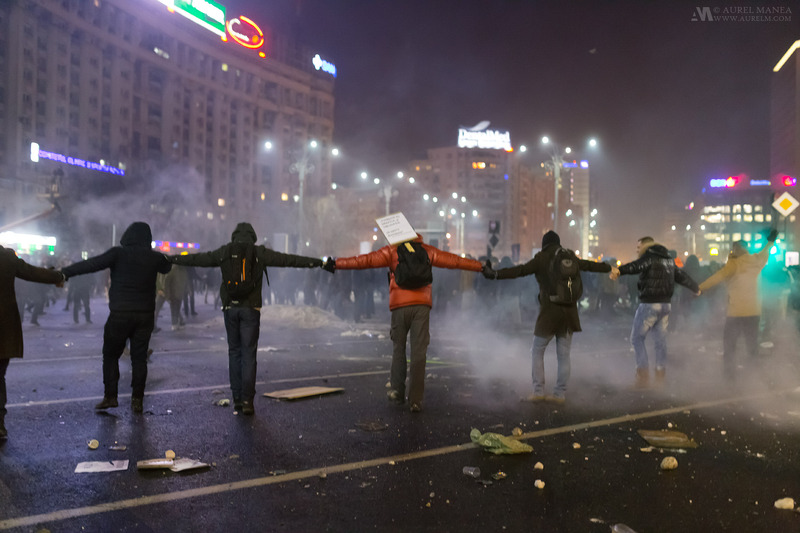 Peaceful protesters tried to end the violence by standing between the riot police and the violent protesters and forming a human chain. 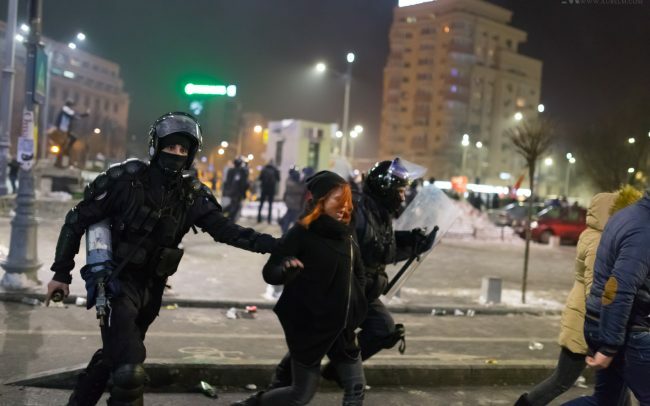 However the violence continued until late night when it ended with more than 100 arrests and a few hospitalized victims. 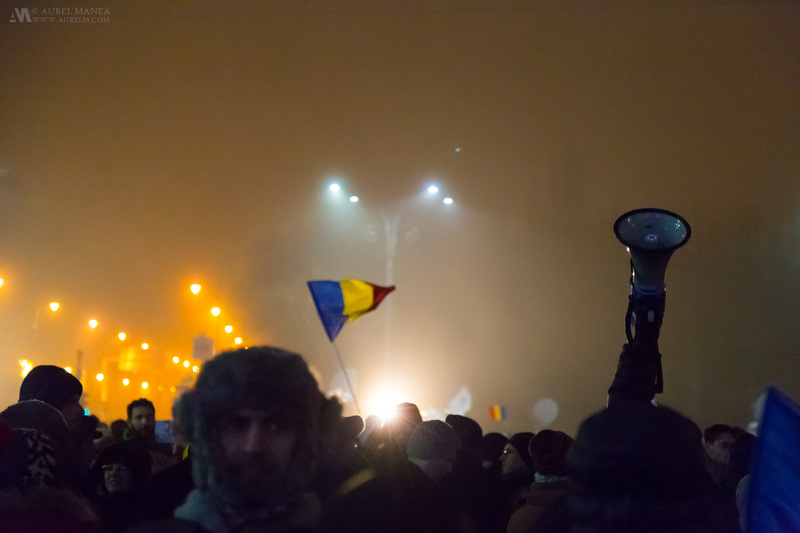 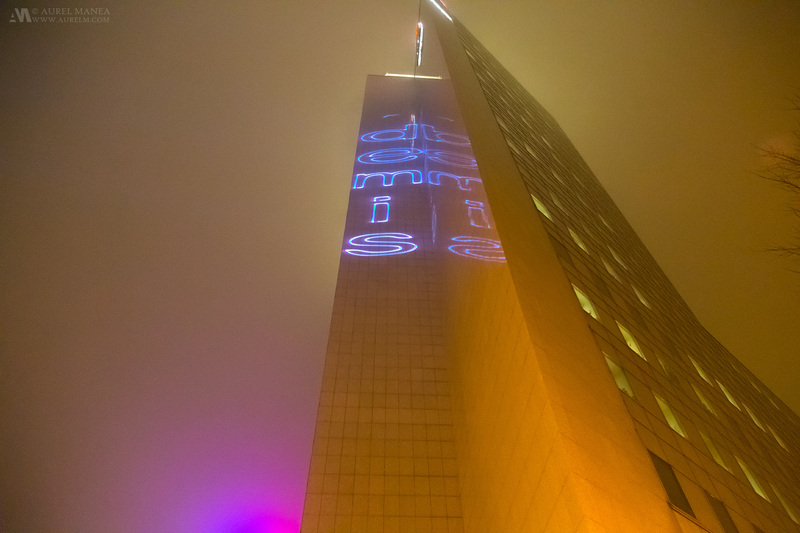 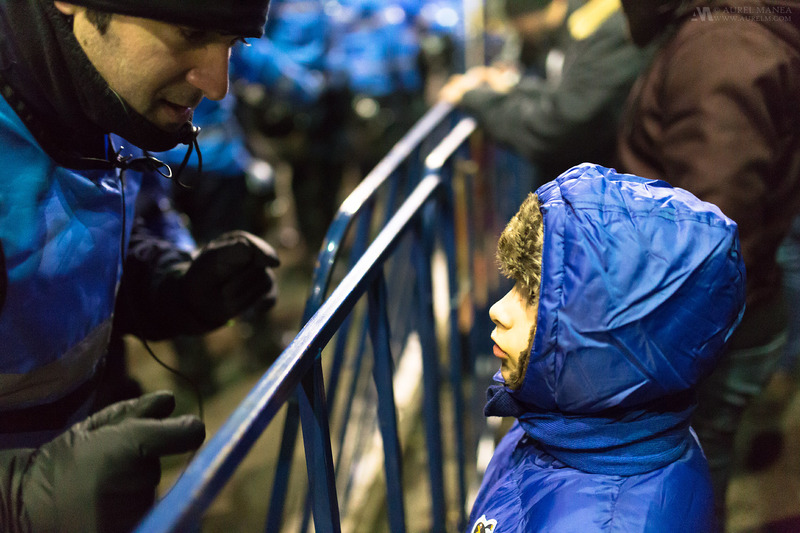 After that night the protests continued peacefully and culminated on Sunday, 5th of February. 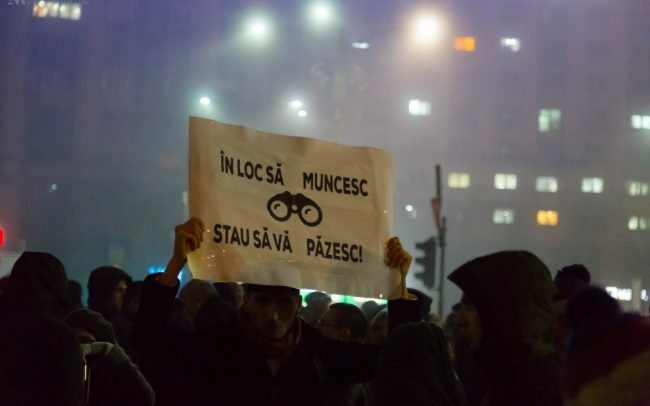 The government appeared to drop the decree but the shadiness of the way they did it with room for interpretation and also the arrogance they showed before let the protests continue with the new target of bringing down the government. 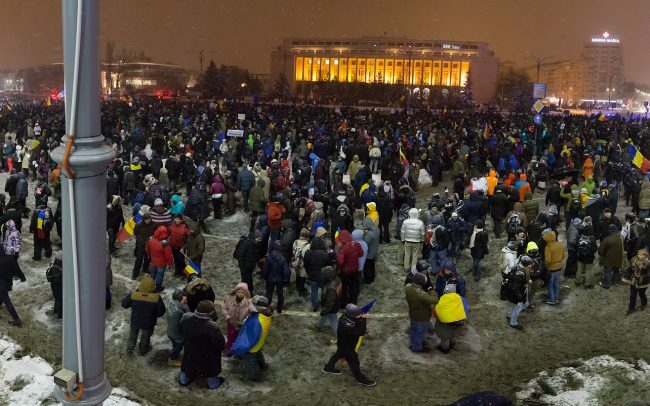 In the meantime the main political party, PSD, responsable for the government and majoritarian in parliament started gathering pro government and anti president crowds that some say it has a deeper meaning of bringing down the president.